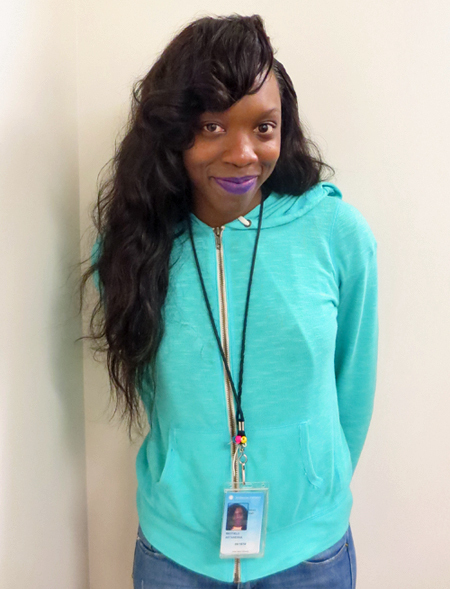 Antanesha Mayfield, known to her friends and coworkers as “Anna,” is the subject of our Staff Spotlight. Laying claim to the longest tenure as Spark!Lab Facilitator among our current staff, she is another member of the team who started work at the launch of Draper Spark!Lab in 2015. A staff member once noted—aptly, I feel—how Anna distinctively provides our visitors with a warm experience: “She is so excited and calm at the same time.” For staff and volunteers, meanwhile, her welcome humor keeps routine work interesting. Anna remains an invaluable member of our crew, and we all greeted a new addition on October 15, 2016. 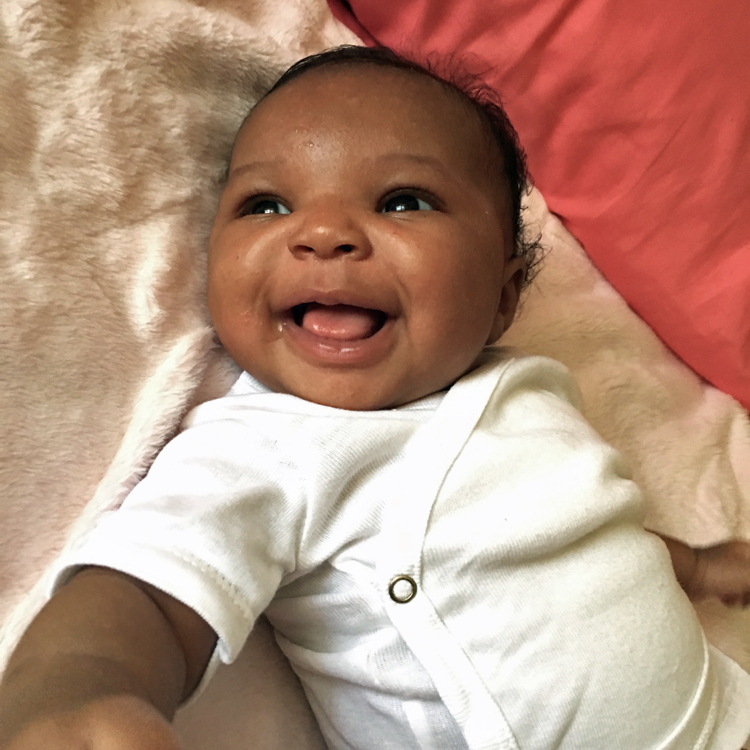 In the words of Interpretive Exhibit Manager Laurel Miller, young Skylar Mayfield is the first, unofficial “Spark!Lab baby.” Balancing work with the new responsibilities of motherhood, Anna kindly consented to respond to some interview questions. 1. What’s your job title? What are your responsibilities? My job title is “Spark!Lab Facilitator.” My responsibilities are interacting with the parents and kids and using inquiry-based learning techniques to help kids think more outside the box and help them better understand the invention process. 2. When did you start working at Draper Spark!Lab? I originally started to volunteer in the former Spark!Lab [open at NMAH from 2008 to 2012] when I was 12 years old. I’ve officially been working in the new Spark!Lab since its opening in July 2015. 3. What’s your favorite thing about Spark!Lab? My favorite thing about Spark!Lab is to see the kids get really excited about what they made and talk to me all about it. I love to see their spark and imagination. 4. What’s your least favorite thing about Spark!Lab? My least favorite thing is the parents who don’t interact with their kids while in the space. It sometimes doesn’t motivate the kids to do much when the parent doesn’t seem interested. 5. If you had to explain Spark!Lab in four words, which would you select? 6. When you’re not working at the Museum, what do you do in your free time? When I’m not working, I love to play with my daughter, Skylar, and try new restaurants; I love to eat. 7. What’s your favorite invention in the entire world? It would have to be anything dealing with hair (the flatiron, hairdryer, or curling iron) because I am very serious about making sure my hair looks good. 8. What is your favorite object at NMAH? Hands down, my favorite objects are Dorothy’s slippers because The Wizard of Oz is one of my all-time favorite movies.